This page is a forum where members can promote their published work and tempt you to read! All works are independent and not endorsed by CADWC. 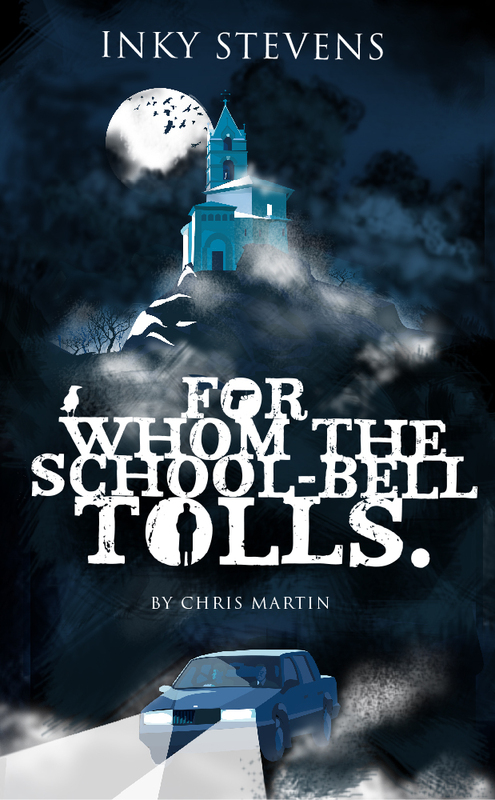 Against a backdrop of the moors and quaint villages of West Yorkshire, a freak accident forces strangers Sarah and John into an encounter neither of them want, or need. Frequent ups and downs blight their progress as they are railroaded by his strange obsessions. Of all the people around why on earth did Betty, Sarah’s faithful Labrador, have to recruit John to be Sarah’s rescuer? John has no idea why over the years his mind has become a monster controlling his every move and desire. He can’t see any way out. He has to obey his tormentors, or else! Can Sarah help him overcome his demons? John scares her but somehow she can’t abandon him. Their journey is an emotional rollercoaster frequently switching between love and hate, hope and despair, fear and security, tears and laughter. Will they complete the journey? Will either of them survive? My wife and I are the parents of a multi aspect OCD sufferer and my first novel ‘But what if…..”, although fictional, is based on the horrendous problems and struggles both our son and ourselves have had to face over the last twenty years plus. The content is based therefore on first-hand knowledge. It is written both from the heart as well as the mind. The only aspect that doesn’t reflect the reality we have faced is that an OCD sufferer would never hold someone captive, as John did initially with Sarah at his farm, nor would they actually harm anyone. This aspect was included to add dramatic effect to stress the magnitude of the dilemmas sufferers face. OCD always bullies the sufferer by telling them to complete a compulsion or something bad will happen, usually to those they care for most. It knows that they are caring people and it attacks this weak point. The OCD sufferer’s main concern is to protect other people no matter what the cost to themselves. 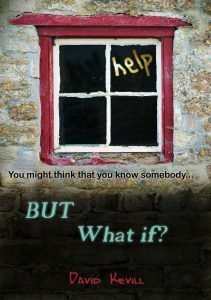 OCD sufferers are notorious for not wanting people outside their immediate family knowing of their condition and it is largely for reasons of my son’s anonymity that this book is written as a fictional work. The OCD aspects however are all extremely closely based on our experiences although some details such as times, locations and names have been changed to maintain anonymity. Never the less this is a true reflection of our very stressful journey, a journey I do not wish on anyone. Our son, now in his thirties, is currently managing his OCD fairly well and has a successful career. However you can never relax. You are always aware that the OCD is waiting to attack. OCD is still a constant in his life, every minute of every day. I have written this book for two reasons. First of all I am immensely aware of what my son has achieved with all the problems he has had to face. I write this book first and foremost as a tribute to him. The general public’s knowledge of OCD is, from our experience, extremely limited. They see it just as washing your hands a lot or placing things in neat rows, if only that was all there was to it. I get angry when I hear jokes about OCD. Whilst I know those telling the jokes do so in ignorance and mean no harm, OCD is certainly no joke. The second reason, therefore, for my writing this novel is the hope that it may just improve at least a few peoples’ knowledge and understanding of OCD. You can buy the book at Amazon. or Lulu. Derek was born in Dundee, but was firmly in Lancashire by the time the century turned, and is now living in Chorley. He loves to travel, and is especially fond of seeing the world via cruise liner, and seeing Scotland via long distance walks. His books are inspired by his cruise experiences. Dea’s very slim, positively anorexic collection of poems was published in November 2015 by Open Circle Publishing. 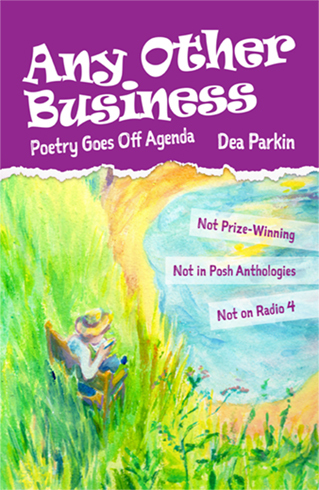 She notes on the cover that they’re ‘not prize-winning, not in posh anthologies and not on Radio 4’ which is meant to tell you that they’re accessible and entertaining. Some are good for reading aloud. Some even rhyme. But they are poetry rather than doggerel and definitely for grown-ups. 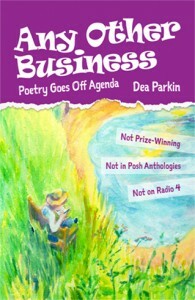 Poems from Any Other Business are published in Aware 2015 (links at the foot of this page) and in earlier editions of Aware, too. If you’d like to read more of Dea’s work, buy it here or order from any good bookshop including Ebb & Flo indie bookshop on Gillibrand St in Chorley. 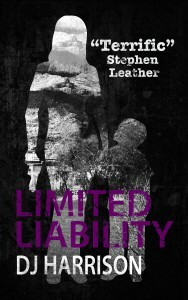 Book 2 of the Inky Stevens series now out! Chris Martin lives in Adlington, Lancashire. After teaching Drama and English for 22 years he now focuses on writing full-time. Through his website murderplays.com he sells his self-penned fundraising murder-mystery plays. To date he cites there have been over 2,000 performances of his 14 titles all over the world. 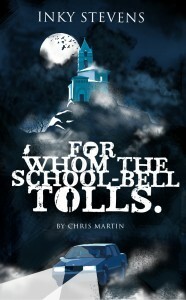 Following the success of murderplays.com he has now expanded into writing novels. 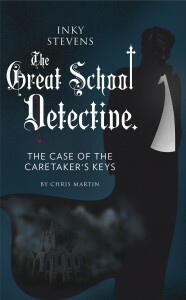 ‘Inky Stevens the Great School Detective’ was published in September 2014 and its sequel in November 2015. 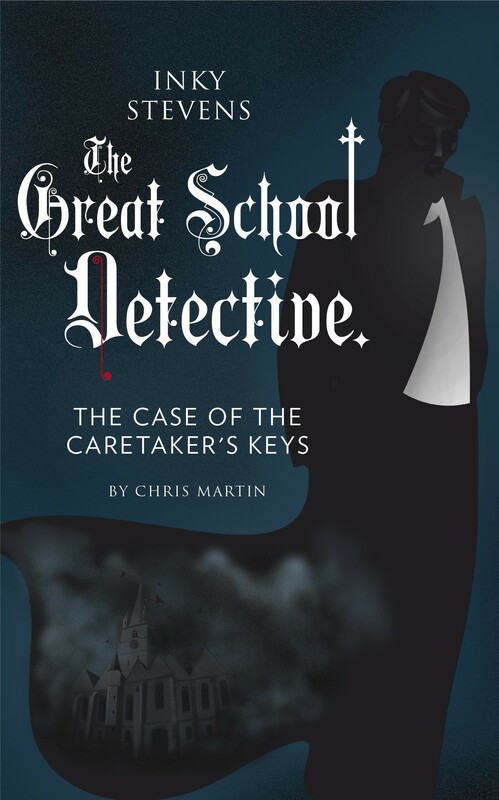 The book, set in a chaotic secondary school, gives a novel twist to the crime-fiction genre. A must for all those in school… or who’ve lived to tell the tale! Available now on Kindle via Amazon. Open Circle Publishing has published Limited Liability, the third in his series of Jenny Parker novels by the Circle’s vice-chair, Dave Harrison. They’re thrillers written in the first person about an accountant in Lancashire who finds herself the focus of deadly malice from a range of villains due to her refusal to mind her own business and her passion for justice and fair treatment. In this outing, even those people who are meant to be on her side are ranged against her. Jenny is used to finding her financial stability, her personal safety and her freedom under threat but when the threat invades her home and is levelled against her young son Toby, Jenny fights back with devastating effect. There’s an extract in Aware 2015 which you can buy as a paperback or download – see the link at the foot of this page. or order from any good bookshop including Ebb & Flo indie bookshop on Gillibrand St in Chorley. 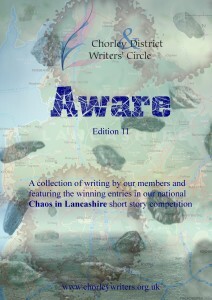 Aware, our yearly anthology of Circle members’ writing. Aware edition 11 is a substantial booklet and we’re pleased to be able to offer it in printed form, available from www.lulu.com. The price is £6 plus postage, with a donation from each copy sold going to the Circle’s chosen charity for 2015/2016; Cats’ Protection.